Good news is that the air is cooler, humidity is up, and firefighters are back on the mountain. 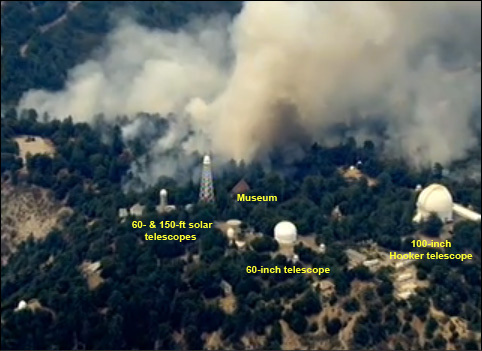 Unsettling news is that fires are within yards of the major telescopes. Kinda sorta reassuring news is that the fires close to the domes may be deliberately set backfires. Pics from the sometimes overloaded Mt Wilson Towercam, and this mirror site. The image above is from the mirror. The towercam is pointing west here, toward the antenna farm adjacent to the observatory. We parked right next to those antennas while waiting to be let in to observe a couple of weeks ago. That’s all I have for now. 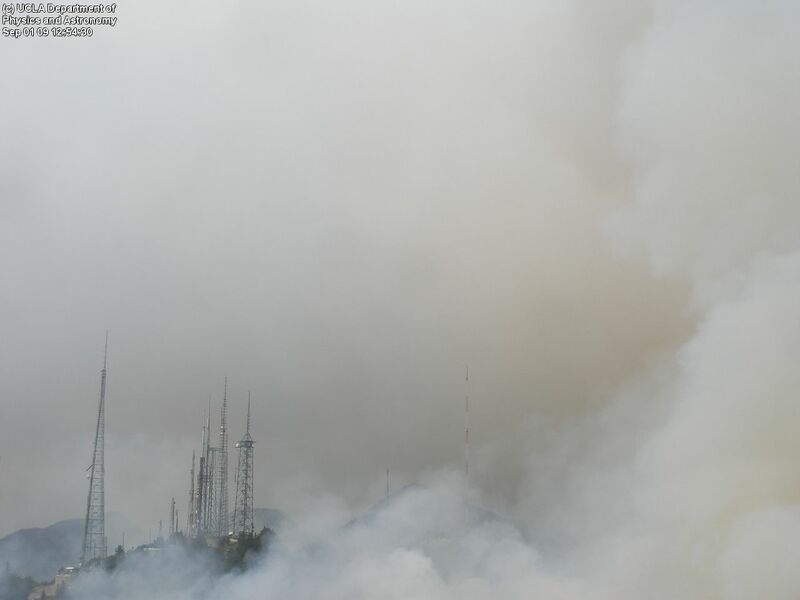 I’m keeping my fingers firmly crossed for the firefighters, the observatory, and the observatory staff, who are having to watch all this remotely with the rest of us. Almost immediate UPDATE: fires close to domes are indeed backfires. See pictures (like the one below) and updates here. 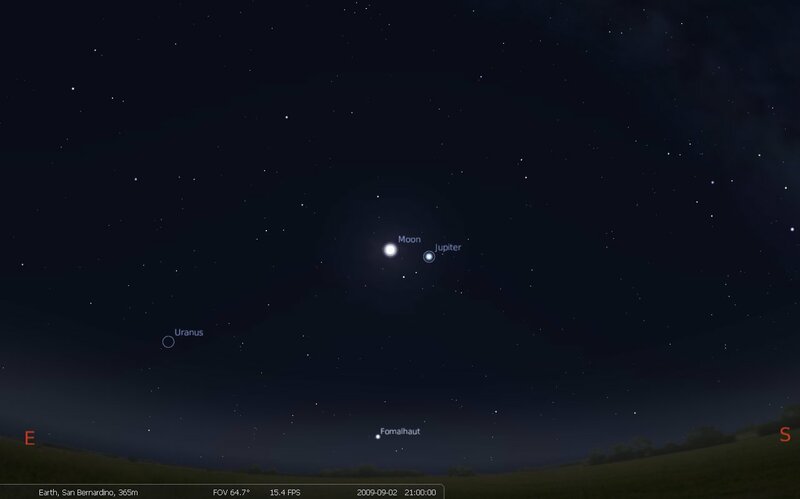 You are currently browsing the 10 Minute Astronomy blog archives for September, 2009.